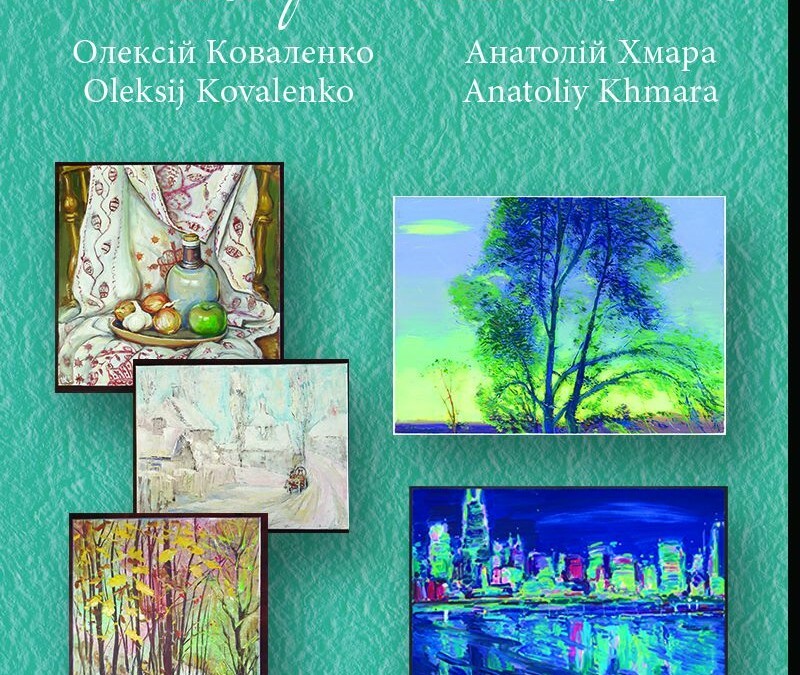 The Ukrainian National Museum presents “ Art of the heart” by Anatoliy Khmara and Oleksij Kovalenko, Friday, May 6, 2016 at 7:00 pm. This exhibit will showcase the works of these exceptional and talented Ukrainian artists. Anatoliy Khmara, at the age of five, entered the studio of Visual Art for Gifted Children in Kyiv, and went on to earn his Masters in Fine Arts at the Fedorov Institute of Art and Graphic Design in Kyiv, Ukraine. His art is featured in public and private collections throughout the world. Anatoliy opened the Medici Art Center in 2005 to teach transformational art education to a wider audience. Oleksij Kovalenko, having matriculated from the Artistic Design School in Kyiv, began his artistic career in his beloved Kyiv. His contribution to art included design and special effects for the Dovzhenko Kyiv State Cinema and educational and documentary animation for the Kyiv State Cinema. From private galleries in Seattle to the International Cultural Center in Minneapolis his exhibits have moved his audience with the beauty of his artwork. Oleksij Kovalenko’s art is reminiscent of his much-loved Ukraine. The exhibit runs through May 29th.